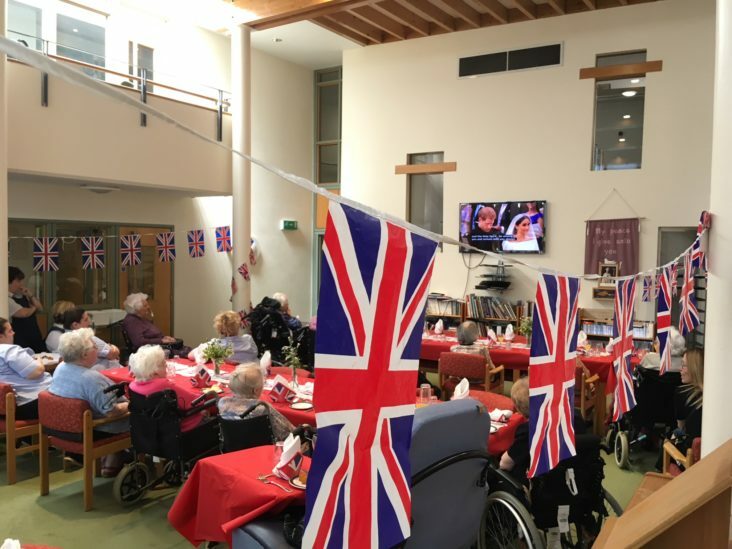 Bridgemead was decorated with Union Jack bunting, a royal wedding display, silver hearts on the tables, and union jack placemats for the Royal Wedding on Saturday. The event was much enjoyed by all. Some of the residents have had a brush with royalty already, Doris told me how she had seen George VI walking by in Downing Street when she worked at the Foreign Office during the war. Jean described how she went to see Princess Elizabeth at her visit to Bath in 1945 and her brother shouted out “Isn’t she beautiful!” to the delight of the crowds watching.